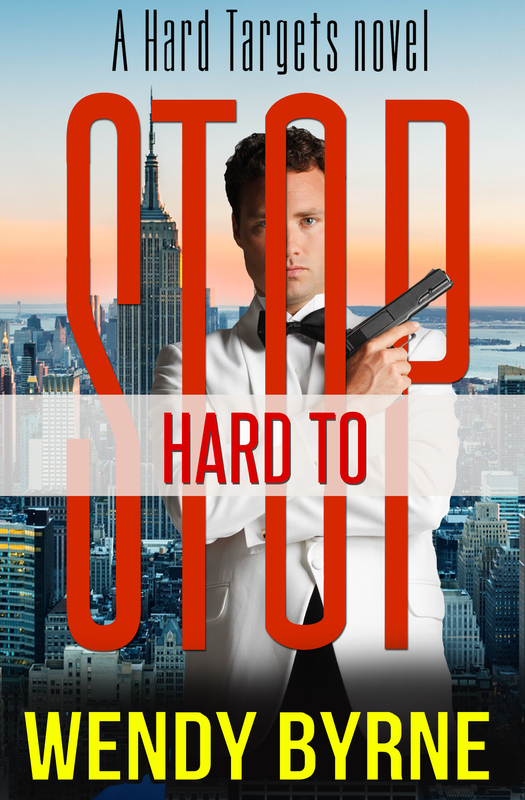 I thought a lot about siblings as I wrote my Hard Target series. I have three siblings, all of them female. I could have made all three main characters for the books female—like a Charlie’s Angels thing—but decided differently. It was my chance to make up a sibling group. What I wouldn’t have given to have an older brother while growing up. Other girls had older brothers and they seemed to have the market on the male mystique. Wouldn’t it have been cool to have a big brother to take care of you when you got into a jam? One who brought home their cute friends to visit? I was so envious of those girls who had big brothers. When it was my turn to make up a sibling group, I now had a chance to have my own big brother via my character. Hmmm. . .what would that be like: two older brothers, a year apart, with my heroine being four years younger. They’d be opinionated. They’d be classic alpha males, but with a soft spot for their little sister. But she was no shrinking violet of a sister. Strong females are the only type of women I write. Besides, they were orphaned at a young age and taken in by a man who groomed them to be assassins. They were tough. All three of them. And Sabrina could hang with the big boys all day long. Nobody would bet against her in a fight. Jake is the classic middle child. He’s laid back in his style, but when push comes to shove he gets the job done. And Max is the overachiever oldest sibling. Cleo clutched Jake Shaw’s arm and whispered against his ear. “They are keeping Monsieur Lang in there.” She pointed toward one of the twisted alleyways outside the Grand Bazaar in Istanbul. “Are you sure he’s alive?” Even though he should be better at reading deceit, her almond-shaped eyes revealed nothing when they stared back at him. “Yes.” She planted a soft but memorable kiss on his lips. “I’ll let them know you’ve paid the ransom, and they’ll release him as promised. Look for the red door.” With those final words, she urged him forward while clutching the money he’d given her. That infamous Shaw itch crawled up his back despite her reassurances. Between the late hour and the narrow space shielded by buildings on both sides, only a sliver of moonlight made its way below. He pulled the gun from beneath his shirt and considered his options. Several doors lined both sides. In the dark, it was impossible to spot any color, even red. While he ached to get out his penlight, drawing attention to his presence wasn’t a recipe for success. Instead, he listened at each door, hoping he’d hear something to give him a clue. By the time he got to the fifth door, the itch wouldn’t let up, warning him trouble had morphed to a higher level. Something wasn’t right. Disaster hung in the air, commingling with the humidity, bringing an oppressive feeling to an oppressive situation. He glanced behind him. Nothing. Still his chest constricted. This felt all kinds of wrong. Even at this time of night, the pervasive silence shouldn’t be this…dead calm. The hair on his forearms stood at attention, as if confirming his suspicions. A breeze filtered inside the tight confines seconds before the rat-tat-tat of gunfire kicked up bits of cobblestone. As he cowered inside the nearest doorframe and waited for the next assault, he scanned the top of the adjacent buildings. But every time he peeked his head out of the safety of the vestibule, another round pinged the walls around him. 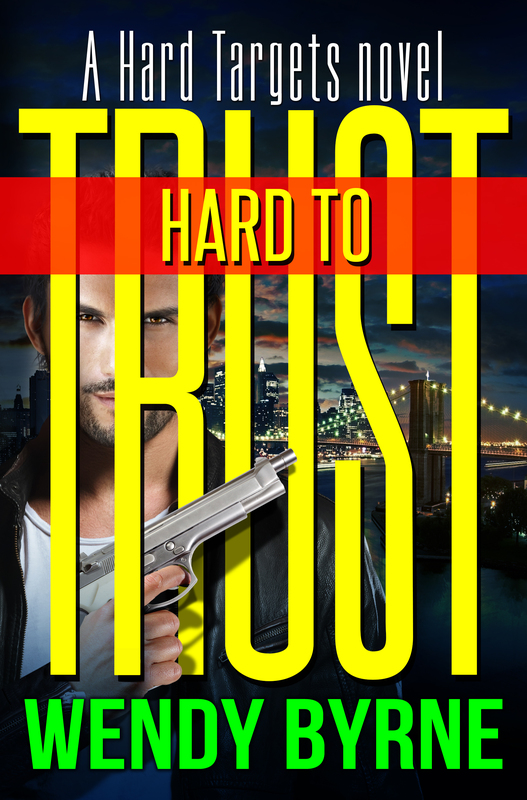 All three books are on sale for .99 in the Hard Targets Trilogy: Hard to Kill, Hard to Trust and Hard to Stop. Wendy lives in the Chicago area. She has a Masters in Social Work and worked in the child welfare field for twelve years before she decided to pursue her dream of writing. Between teaching college classes, trying to get her morbidly obese cat to slim down and tempering the will of her five-year-old granddaughter, who's determined to become a witch when she turns six so she can fly on her broom to see the Eiffel Tower and put hexes on people--not necessarily in that order--somehow Wendy still manages to fit in writing. She spends the remainder of her days inflicting mayhem on her hero and heroine until they beg for mercy. 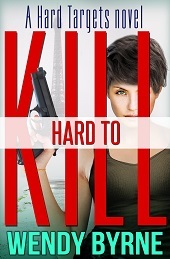 She has written three books in the Hard Targets trilogy, Hard to Kill, Hard to Trust and Hard to Stop. In addition, she has a contemporary romance through Entangled Publishing called The Millionaire’s Deception as well as a romantic suspense called Bad to the Bone, a self-pubbed Christmas short story called The Christmas Curse and two interracial romances, Fractured and Mama Said.